12 July: Ben and Catherine Mullany, nee Bowen, marry at St John's The Evangelist Church in Cilybebyll. Their first dance is to the song Somewhere Only We Know by Keane - a reference to them spending their first night as man and wife camping in a secret location. 14 July: Two days after their marriage the newlyweds leave south Wales for Antigua, and arrive at Cocos Hotel near the Jolly Harbour area of Antigua's west coast. 26 July: On the last night of their honeymoon, Mr and Mrs Mullany have dinner in the Cocos Hotel restaurant, where they meet the family of fellow Briton Beverley Stairs, from Surrey. Mrs Stairs was staying in a chalet near the couple. She said they talked a lot about going home to start a family. 27 July: At 0500, the sounds of gunshots are heard coming from Mr and Mrs Mullany's chalet, cottage 15. An American nurse, also on holiday at the resort, discovers the couple. Mrs Mullany dies instantly after being shot in the head. The nurse tries to stabilise Mr Mullany before the arrival of paramedics. The 31-year-old was initially conscious, but slips into a coma and is taken to Holberton Hospital, near St John's, where he is placed on a life-support machine. 29 July: Mr and Mrs Mullany's parents - Cynlais and Marilyn Mullany and David and Rachel Bowen - arrive in Antigua. The Duchess of York Sarah Ferguson is on the same plane, and tries to comfort them during the eight-hour flight. 31 July: The Prime Minister of Antigua, Baldwin Spencer, issues a plea for Scotland Yard to help his country's police force with the investigation. 1 August: Mr Mullany is flown home on a life-support machine. The journey takes about 22 hours, after the chartered jet is grounded in Canada because of a technical fault. Medics make several interventions to keep Mr Mullany alive on the flight. 2 August: Mr Mullany arrives at Morriston Hospital, Swansea, in the early hours of the morning. Doctors say his condition remains stable and they will proceed with brain-stem testing. 3 August: Mr Mullany's life-support machine is switched off. 13 August: A joint burial for Mr and Mrs Mullany takes place at St John's The Evangelist Church in Cilybebyll. Mourners consist of close family only. 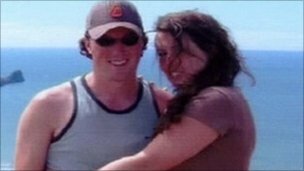 18 August: Avie Howell, then 17, and Kaniel Martin, 20, appear in court charged with murdering Mr and Mrs Mullany. 29 August: Antigua's Canadian-born police commissioner Gary Nelson said he had been "relieved of his duties" by the island's Prime Minister Baldwin Spencer. Mr Nelson later pursues a claim of unfair dismissal. 10 September: A memorial service for Mr and Mrs Mullany is held at Llandaff Cathedral in Cardiff. More than 1,000 mourners attend. Speaking at the service is the Duchess of York, who says she will become a patron of The Mullany Fund, the charity set up in memory of the couple. 11 November: British detectives fly back to Antigua to assist local officers' inquiries with the island's other unsolved murders. 25 March: Howell and Martin's legal team win an adjournment to allow more time to review evidence. January: Assizes hearing in Antigua sets the trial for Howell and Martin as 23 May. 23 May: Judge says the cases concerning Mr and Mrs Mullany will proceed on 1 June. They will also face trial for killing shopkeeper Woneta Anderson Walker. 1 June: Trial of Howell and Martin gets under way at St John's High Court, with a jury of eight men and four women sworn in. Both the accused deny the murders. 19 July: Prosecution finishes outlining its case. 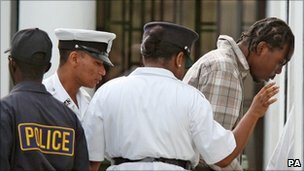 20 July: General summing up begins in Antigua's High Court - with the trial set to conclude almost three years on from the murders of Mr and Mrs Mullany. 27 July: Jury returns guilty verdicts against Howell and Martin. 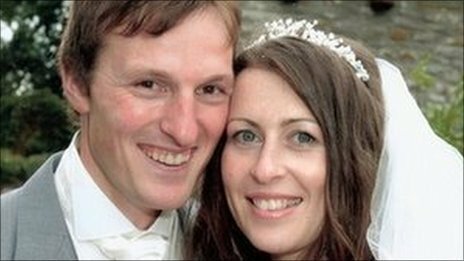 The pair are also convicted of the murder of local shopkeeper Mrs Anderson. 16 December: Howell and Martin are each given three consecutive life sentences at the High Court in Antigua. The police watchdog says two detectives who worked on the child abuse investigation into Lostprophets singer Ian Watkins have a misconduct case to answer.